RDRN is not responsible for the content of any other website. Users do so entirely at their own risk. draft RDRN Bylaws August 2018 Click here to see the revised bylaws that will be voted on at the September 27, 2018 General meeting. Alberta Conservation Association The Alberta Conservation Association will work to conserve, protect and enhance our natural biological resources. RDRN counted 150 bird species to celebrate Canada’s 150th birthday in 2017. Here’s what had been seen in 2017. Important Bird Areas of Canada – Canada’s Important Bird Areas program is a science-based initiative to identify, conserve and monitor a network of sites that provide essential habitat for Canada’s bird populations. Alberta Environmental Network – The AEN is a non-profit, non-partisan umbrella organization dedicated to helping preserve and protect Alberta’s environment. Invasive Alien Plants of Canada – Invasive alien species are those harmful plants, animals, and micro-organisms whose introduction or spread threatens the environment, the economy, or society, including human health. Alberta Hiking Association – The Alberta Hiking Association (otherwise know as AHA) is primarily an umbrella organization for hiking clubs from across the province. J. J. Collett Natural Area – Most people just wander in our beautiful natural area, but guided tours are also available for all age groups who are interested in visiting this area. 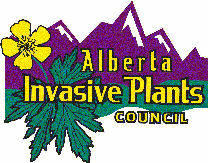 Alberta Invasive Plants Council – Invasive alien plants are species introduced deliberately or unintentionally outside of their natural habitats. In this new environment, free from their natural ‘enemies’, non-native plants have an advantage that allows them to out-compete native plants and agricultural crops for space, moisture and nutrients. Kerry Wood Nature Centre – The Kerry Wood Nature Centre and Historic Fort Normandeau are run by the Waskasoo Environmental Education Society for the City of Red Deer. Alberta Native Plant Council – The ANPC promotes knowledge and conservation of the native plants and vegetation of Alberta. 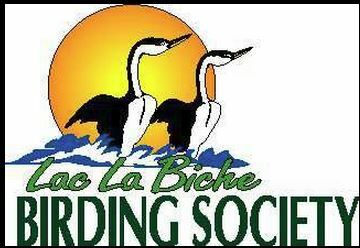 Lac La Biche Birding Society – The Lac La Biche Birding Society was incorporated in the spring of 1998. Prior to that an unofficial club had been active since its first Christmas Bird Count in 1992. The club participates in the Christmas Bird Count, the May Species Count and public education on the value of wild birds in the Lac La Biche region and their conservation/environmental importance. Alberta Prairie Conservation Forum – The Prairie Conservation Forum is a large voluntary coalition of stakeholder groups whose members are interested in the conservation of native prairie and parkland environments in Alberta, Canada. Lethbridge Naturalists Society– TLNS’s objectives are: to encourage the development of knowledge and appreciation of natural history and understanding of ecological processes by residents of Lethbridge and surrounding areas of Alberta: to organize field meetings, lectures and visual presentations and to conduct research on any or all aspects of natural history; to provide a forum for amateur and professional naturalists to discuss questions relating to conservation of the natural environment and to provide the means for translating the decisions reached into appropriate action. 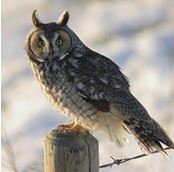 Alberta Species at Risk – Lists of species at risk in Alberta. Lesser Slave Lake Bird Observatory – Researchers have established that Lesser Slave Lake and nearby Marten Mountain act as a natural barrier to migratory birds. Many migrant birds avoid crossing the lake and veer to the east. Marten Mountain, elevation 1020 metres above sea level, funnels the migrants along the shoreline. Alberta Stewardship Network – The Alberta Stewardship Network is a provincial stewardship initiative, with partners from federal and provincial government agencies, non-government organizations, community stewardship groups, and Aboriginal communities. Medicine River Wildlife Centre – The Medicine River Wildlife Centre rehabs orphaned and injured wildlife, gives education programs from children to seniors. It has a nature trail open year round, overlooking a large wetland housing many species. 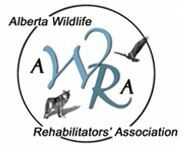 Alberta Wildlife Rehabilitators’ Association – The Alberta Wildlife Rehabilitators’ Association promotes and monitors wildlife rehabilitation in the Province of Alberta through education and unified standards. To report injured wildlife in Alberta, Canada, please call toll-free 1-888-924-2444. Nature Alberta – Nature Alberta was founded in 1970 when six regional naturalist clubs came together for the good of both their collective membership and Alberta’s natural history. Alberta Wilderness Association – Alberta Wilderness Association (AWA) is the oldest wilderness conservation group in Alberta dedicated to the completion of a protected areas network and the conservation of wilderness throughout the province. Wild Lands Advocate, the Alberta Wilderness Associations magazine. Nature Canada – Nature Canada’s mission is to conserve and protect nature—Canada’s natural diversity of plant and animal species and their environment. Beaverhill Bird Observatory – Since 1984, the Beaverhill Bird Observatory (BBO) has been interested and active in the area to monitor bird migrations and populations. Nature Conservancy – The Nature Conservancy of Canada (NCC) is a private, non-profit organization working for the direct protection of Canada’s biodiversity through the purchase, donation or placing on conservation easements on ecologically significant lands. NCC offers conservation events for volunteers. Please check the NCC website for a schedule of Alberta events. Big Lake Environment Support Society – Big Lake, a relatively little known jewel of the capital region abuts the northwest corner of Edmonton and the southwest corner St. Albert. Parkland County borders the lake on the south and Sturgeon County on the north. The lake sits on the sands and gravels of the Empress Formation, an aquifer 30 meters below its surface that was laid down by retreating glacial meltwaters. Nature Saskatchewan – Nature Saskatchewan promotes the appreciation and understanding of our natural environment through education, conservation and research. Canada’s Aquatic Environments – Canada’s Aquatic Environments was produced by the CyberNatural Software Group at the University of Guelph. We are dedicated to the improvement of educational materials available to schools, postsecondary institutions, and the general public through the use of interactive digital media. North American Bluebird Society – The North American Bluebird Societyspearheaded what many conservationists believe is the most successful campaign in conservation history to reverse the decline of a species. Canadian Parks and Wilderness Association – Our 13 nationwide chapters are working to protect wild places, wildlife and a sustainable future for Canadians on our country’s 6 million square miles of publicly-owned lands. 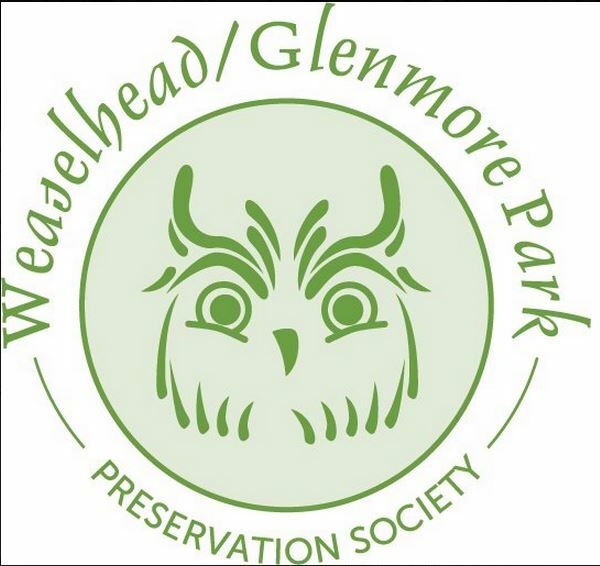 Peace Parkland Naturalists – The Peace Parklands Naturalists are dedicated to increasing knowledge, interest and enjoyment of natural history in the Peace Region. Centennial Wilds Campaign – Centennial Wilds is a not-for-profit, volunteer based, joint project of groups and individuals interested in Alberta’s wild places and pre-settlement, in-situ history. Pembina Institute – Holistic and practical solutions for a sustainable world. Ellis Bird Farm – Located in the heart of central Alberta, Ellis Bird Farm is both a working farm as well as a non-profit organization dedicated to the conservation of Mountain Bluebirds, Tree Swallows and other native cavity-nesting birds. Rethink Red Deer – Sustainable Red Deer is dedicated to enhancing the long term quality of life in Red Deer and surrounding area. This group searches out and shares ideas that inspire citizens to make and create sustainable consumer choices – global in awareness, local in application. Members believe that we are citizens first and consumers second; that our world is finite and borrowed from future generations; that we can live sustainably and in harmony with nature; and that inspiration is a renewable resource. Red Deer River Basin Watershed Planning and Advisory Council – The Red Deer River Watershed Alliance is a multi-sector, non-profit organization that promotes the good use and proper management of water within the Red Deer River watershed. Environmental Law Centre – The Environmental Law Centre (ELC) was incorporated in 1982 with the express purpose of providing Albertans with an objective source of information about environmental and natural resources law. Over the years, its mandate has broadened to extend the provision of service across the country. Red Deer Ramblers – The Red Deer Ramblers are a hiking group based within Central Alberta. We have hikes scheduled every second Saturday from April to October and also included extended trips throughout the season. Waskasoo Environmental Education Society – We are creating a population of citizens interested in, aware of, concerned about and involved in their natural and cultural heritage. Friends of Fish Creek – Our mission is to protect, preserve, and enhance the diverse natural and human history found in Fish Creek Provincial Park. 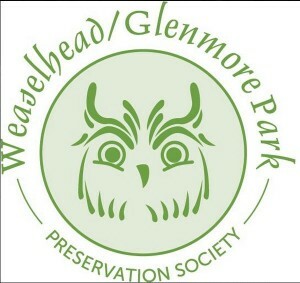 Weaselhead Foundation – Help our non-profit society create awareness among Calgarians of the importance of protecting our water supply and of the tremendous ecological and aesthetic value of the Weaselhead/Glenmore Park area. Friends of Jasper Park – We are a non-profit organization that strives to promote understanding, appreciation and respect for the natural history and cultural heritage of Jasper National Park. We offer interpretive programs, fund research, publish park related materials and perform park improvement. Wild Canada – Wild Canada is a national conservation organization that helps Canadians protect wildlands and wildlife. Because there is a need for a new approach in the effort to solve Canada’s conservation challenges, Wildcanada.net combines grassroots organizing with sophisticated on-line Action Centres that provide conservation-minded Canadians and existing conservation groups from around the country with ways to protect nature. Grasslands Naturalists – Grasslands Naturalists is dedicated to south-eastern Alberta: to the responsible treatment of the prairie and Cypress Hills; and to maintaining the natural beauty and wildlife. We believe that a natural environment fulfils human needs and values, rather than conflicts with them. Wolf Matters – Wolf Matters is a website dedicated to raising awareness about issues related to wolves in Alberta. It is being developed to support the efforts of individuals and organizations who are raising concerns about how wolves are managed and treated in the province. Please feel free to send us information, photographs, articles and links. The Biological Survey of Canada (www.biologicalsurvey.ca) is a not-for-profit, charitable organization that that helps to coordinate scientific research among specialists on the Canadian biota. The BSC network of scientists discovers, synthesizes, and freely shares knowledge about Canada’s biological diversity. The Biological Survey of Canada has recently published two volumes (Volumes 3 and 4) of the Arthropods of Canadian Grasslands series, which will be of interest to some of your members and readers. They contain an enormous amount of information about the grasslands biodiversity of Alberta. I have attached a flyer which describes these volumes.